The most published and lauded woman writer of early sixteenth-century Italy, Vittoria Colonna (1490–1547) in effect defined what was the "acceptable" face of female authorship for her time. Hailed by the generation’s leading male literati as an equal, she was praised both for her impeccable command of Petrarchan style and for the unimpeachable chastity and piety of the persona she promoted through her literary works. This book presents for the very first time a body of Colonna’s verse that reveals much about her poetic aims and outlook, while also casting new light on one of the most famous friendships of the age. 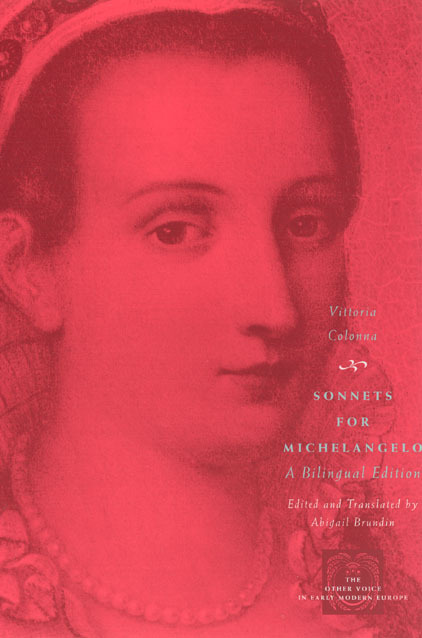 Sonnets for Michelangelo, originally presented in manuscript form to her close friend Michelangelo Buonarroti as a personal gift, illustrates the striking beauty and originality of Colonna’s mature lyric voice and distinguishes her as a poetic innovator who would be widely imitated by female writers in Italy and Europe in the sixteenth century. After three centuries of relative neglect, this new edition promises to restore Colonna to her rightful place at the forefront of female cultural production in the Renaissance.